It seems like everyday a child comes up missing. As a parent, it is important to take all the steps necessary to make sure this doesn’t happen to your child. If you are a parent you will want to keep reading to learn how you can help avoid child abduction and kidnapping. You should always make sure you have an eye on your child. Depending on their age, it can be difficult because sometimes they run off or want to do their own thing. Keep your child close to you and keep a close eye on them at all times. It only takes a second for a child to leave your sight. This is important for children of all ages, but it is especially important for children that are younger or have a higher tendency to run off. Keeping an eye on them closely will help ensure no one can abduct them or kidnap them. With other children, it is important to keep an eye on them as well. Since older children use electronic devices more frequently, you will want to check the history and everything they are doing on their tablets or iPods. Make sure they aren’t talking to anyone online that they shouldn’t be talking to. Set parental controls so you can prevent them from going to websites that allow them to talk to people they don’t know. It is important to remind them of the importance of being safe online too. You should let them know that not everything on the Internet is truthful, including people. Remind them that it is best to stay away from people they don’t know online. Make sure to check their electronic devices frequently so you will know what they are up to when they are using them. Have the talk with your child about strangers. Let them know that in person and online, it is best to stay away from them. Many predators use the Internet these days to find children to kidnap and abduct. It is important that your children know this if they are using an electronic device. Being the parent of a missing child is nothing any parent wants to go through. Use this advice and talk to your child about it. 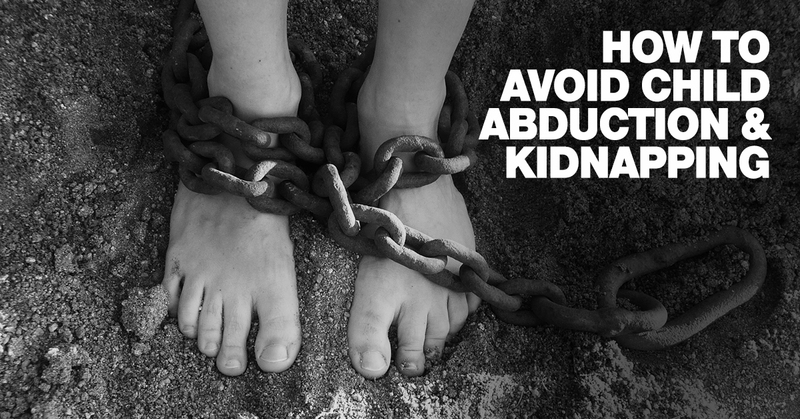 These are just a few ways you can help prevent your child from being kidnapped and you should start now. 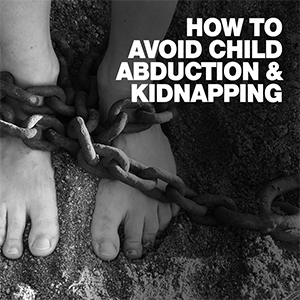 How-To-Avoid-Child-Abduction-Kidnapping It seems like everyday a child comes up missing. As a parent, it is important to take all the steps necessary to make sure this doesn't happen to your child. If you are a parent you will want to keep reading to learn how you can help avoid child abduction and kidnapping. You should always make sure you have an eye on your child. Depending on their age, it can be difficult because sometimes they run off or want to do their own thing. Keep your child close to you and keep a close eye on them at all times. It only takes a second for a child to leave your sight. This is important for children of all ages, but it is especially important for children that are younger or have a higher tendency to run off. Keeping an eye on them closely will help ensure no one can abduct them or kidnap them. With other children, it is important to keep an eye on them as well. Since older children use electronic devices more frequently, you will want to check the history and everything they are doing on their tablets or iPods. Make sure they aren't talking to anyone online that they shouldn't be talking to. Set parental controls so you can prevent them from going to websites that allow them to talk to people they don't know. It is important to remind them of the importance of being safe online too. You should let them know that not everything on the Internet is truthful, including people. Remind them that it is best to stay away from people they don't know online. Make sure to check their electronic devices frequently so you will know what they are up to when they are using them. Have the talk with your child about strangers. Let them know that in person and online, it is best to stay away from them. Many predators use the Internet these days to find children to kidnap and abduct. It is important that your children know this if they are using an electronic device. Being the parent of a missing child is nothing any parent wants to go through. Use this advice and talk to your child about it. These are just a few ways you can help prevent your child from being kidnapped and you should start now.